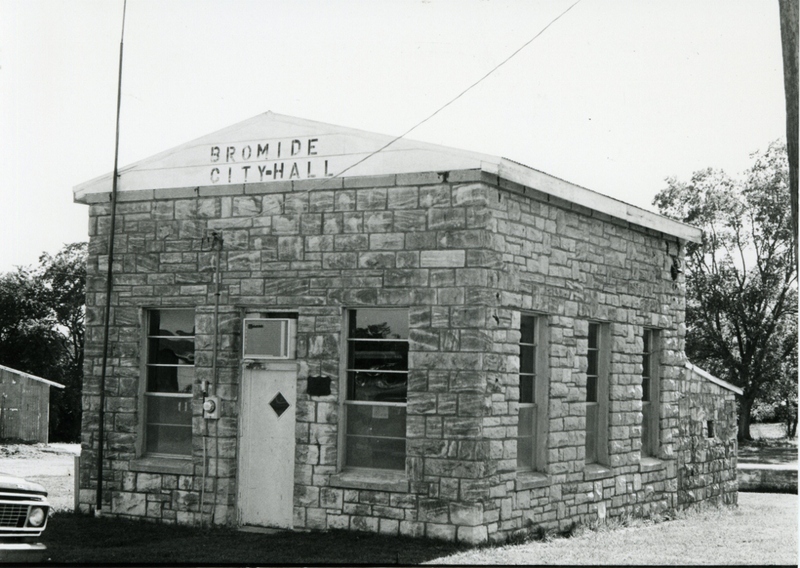 The two-room Bromide City Hall and Jail is a single-story, rectangular (36’x 20′) structure constructed of tooled native limestone and granite blocks randomly laid. 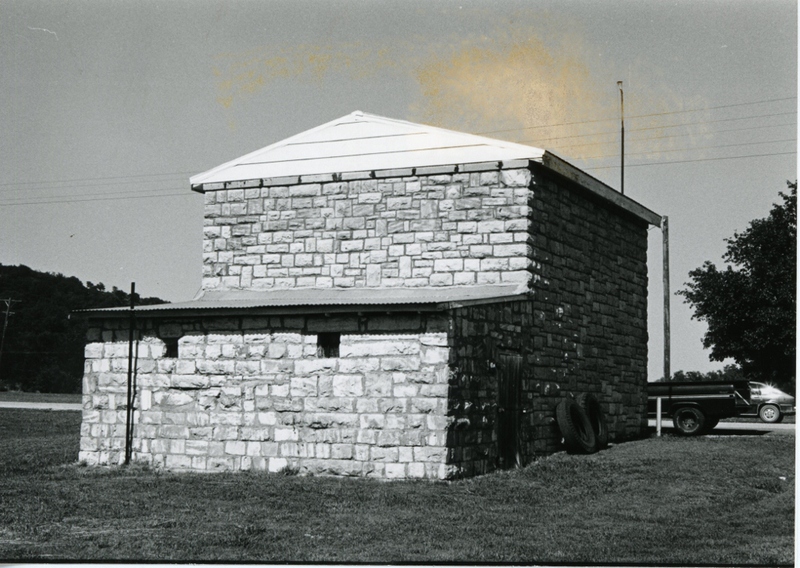 The original roof of the central structure was flat with parapets capped with cut limestone, while over the jail it is lean-to in nature. Windows, with pre-formed concrete sills, are singly placed. 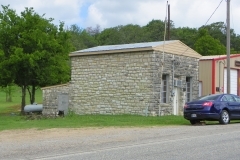 Jail windows are small and contain two metal bars. 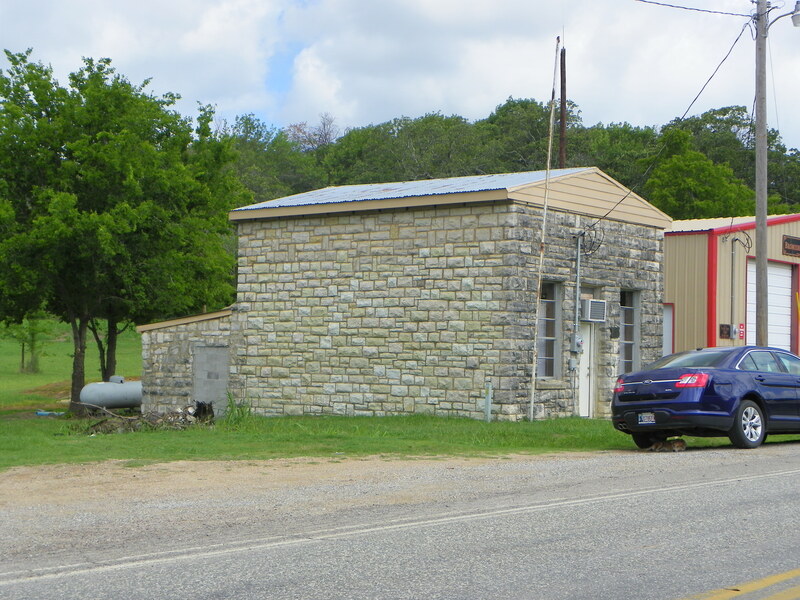 The single-door front entry is symetrically located. Energy efficient aluminum sash windows have been added as has been a roof with small gables. The additions have not compromised the architectural integrity of the structure. 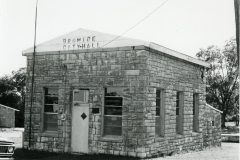 The City Hall and Jailhouse building in Bromide is unique in type, style, materials, and workmanship. The fact that it is constructed of native limestone with an occasional block of granite gives the structure a personality all its own. Equally significant is the fact that its construction provided work for many unemployed laborers who were severely affected by the Depression. 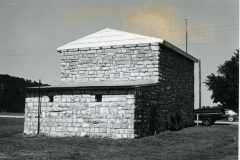 The structure is an excellent example of civic facilities provided by the WPA for small Oklahoma villages.